It is time for another guest post from Ellie. 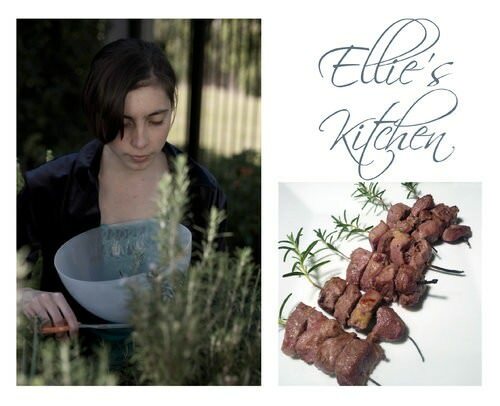 The inspiration for this recipe came about while we were shooting her profile picture in my garden. I hope you enjoy her story! 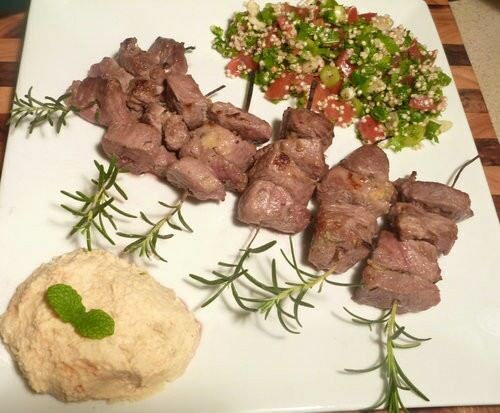 These easy Lamb kebabs are delicious I served them up to my family on Friday night with home made Tabbouleh and Hummus. Yes, you may be thinking ”that’s a summer meal” but really I think it’s also a great winter dish. Parsley is full of vitamin C, great for those wanting to boost their immune system and avoid the common cold. This Lebanese dish is a great family meal and excellent crowd pleaser. Tabbouleh and Hummus can both be made in advance and the kebabs can be threaded and kept in the fridge until needed. All that’s is then required is to cook the kebabs and served with some warm Lebanese bread. Combine shallots, tomatoes, mint and parsley. Add mixture of oil and juice. Season to taste. This can be made up to a day in advance. Place all ingredients into a food processor, adding enough of the cooking water to form a smooth paste. Sprinkle with paprika to serve. 1 kiwi fruit, skin removed and mashed. Line the grill with foil and preheat on high. Remove leaves from stalks, keeping 2cm of the top in tack and trim stalk at an angle so it can pierce though the meat. Chop remaining loose leaves and combine with oil, salt & pepper. Thread meat onto skewers. 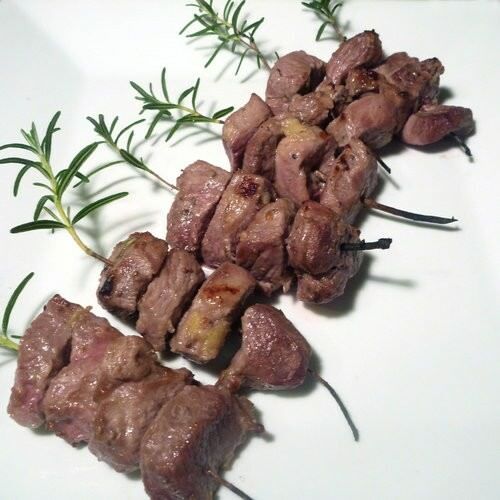 If you have difficulty threading the meat you can make a guide how with a metal skewer first. Baste the kebabs with the oil mixture Cook under high grill until brown, turning once or twice.